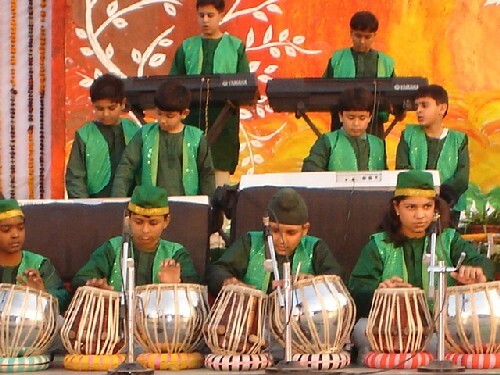 Amity International School, East Delhi celebrated its Annual Event, a repertoire of talent and creativity on December 10, 2005. Annual Day celebration was inaugurated by His Excellency Mr. Rachid Sator Charge’d Affairs, Embassy of Algeria with the traditional lighting the lamp amidst the chanting of shlokas. Event was graced by the inspiring presence of Mr. Vinay Sharma Member of Legislative Assembly, Chairperson, Dr. (Mrs.) Amita Chauhan & Mr. Atul Chauhan, President, Ritnand Balved Education Foundation. Chief Guest on the occasion, His Excellency Mr. Rachid Sator Charge’d Affairs, Embassy of Algeria lauded the performances of the little ones and complemented the untiring efforts of the teachers and the parents behind this mesmerizing presentations. He advised the teachers and the parents that high energy of these students should be channelised in the right direction which will make them the great leaders of tomorrow. The event had a special theme Kalpana- A peep into our world of Imagination unfolded with the unique blend of soothing Indian and vibrant western music TAAL MEL with Orchestra/Choir and Dance Jugal Bandi performances by the young kids. The main attraction of the evening was a play, Fast Food, Healthy Food by Nursery kids highlighting the importance of a Healthy body, healthy mind, pious soul that is the call of the day. 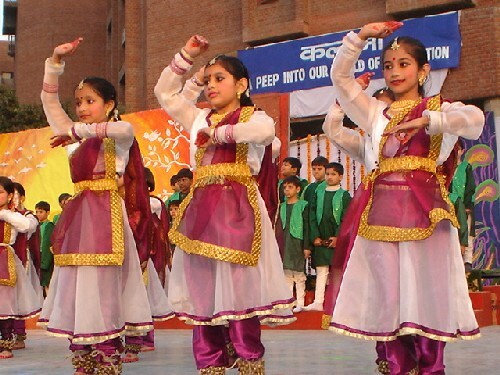 Dr. (Mrs.) Amita Chauhan, Chairperson, Amity International School described the efforts done by Amity School in giving best theoretical education clubbed with practical exposures. She applauded the performances given by Amitians in different cultural, sports and interdisciplinary activities organized within and outside Amity School and said that Amitians would always make their parents, teachers and the country proud.